In 1965, The Gambia achieved independence and joined the Commonwealth (from which it withdrew in 2013). Its capital, Bathurst, was re-named Banjul in 1973. The British Admiralty had occupied some sites near Cape St. Mary, west of Banjul, since the First World War when it had built in 1915 a Naval Wireless Station and supporting facilities for its dozen or so staff (whose officer-in-charge was a naval staff surgeon). Although the masts were taken down in 1937, the War Office held on to some land in Fajara, the district just south-west of Cape Point, until independence, when some of it was made available for the high commission’s accommodation. The high commission offices were in leased space at 78 Wellington Street, a four-storey block of flats, from 1965 until 1977. The intention was that this arrangement should only last until new offices could be built on a site on Independence Drive, formerly Clifton Road, that was earmarked in 1965 and granted free of charge on a 99-year lease by the Gambian government in 1972. Funds, however, could not be found to construct the offices in the mid-1970s, the scheme was abandoned and the site returned. The Ministry of Public Building and Works leased the site at 38 Fajara for 99 years in 1965 and in 1967 erected on it a prefabricated bungalow, Bray House, for the head of chancery at a cost of £25,000. In 1972, the Ministry bought, for £65,000, from the United Africa Company, who were pulling out of Bathurst, a cluster of four houses adjacent to Bray House to form a residential compound for high commission staff at 38 Fajara (now 48-54 Atlantic Road). Of these, Palm House, formerly the manager’s house, was identified as a temporary residence if the permanent one was to be rebuilt. The other three houses, Yare, Bottomley and Ogden Houses, were progressively occupied by staff. 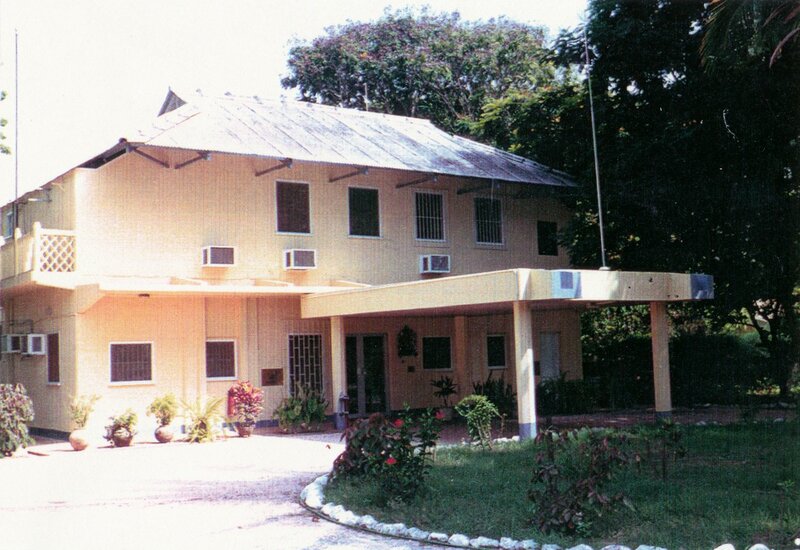 Ogden House was converted for the high commission offices to move into (from 78 Wellington Street) in 1977. Bray House later became the visa section offices. 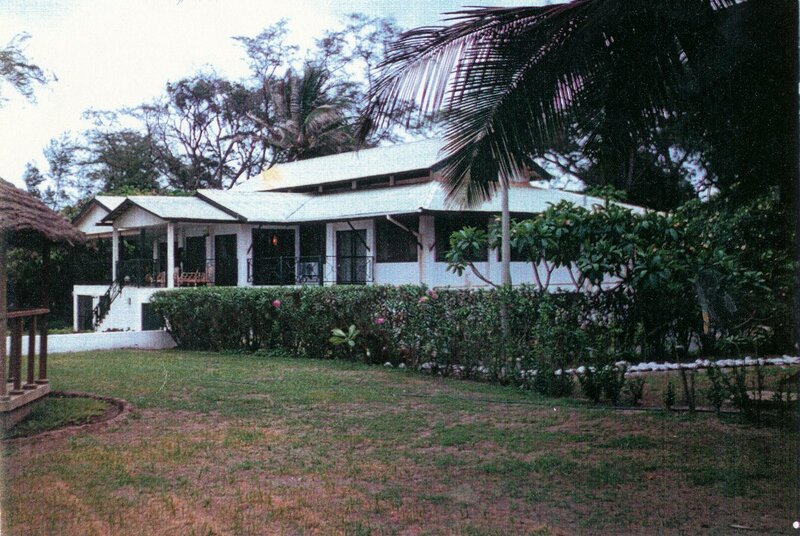 Admiralty House, now 126 Atlantic Road, was leased in Fajara, with about 0.6 hectare of ground, from the Gambian government for 99 years from 1965 at nominal ground rent. It was the best house available but was not expected to be a satisfactory long term residence, despite thorough ingoings. Nevertheless, it remains the residence. The house was steel-framed and expensively built, at £12,000, in 1920-21 to house the Royal Navy staff surgeon in charge of the wireless station, whose huts were by then unacceptably unhealthy. The wireless station was closed down, except for keeping the gear in order in case of emergency, only months after the house was completed. The Admiralty, after extensive argument with the governor, leased the house to the colonial government for a peppercorn rent in return for its being properly maintained. It was subsequently occupied by the director of agriculture, succeeded in the 1930s by the commissioner of Kombo Province. The Admiralty sold it to the colonial government for £350 in 1934 after the wireless station finally closed. D F B Le Breton, high commissioner 1981-4, researched the history of the residence in the Gambia National Archives and summarised his findings in an unpublished 1984 FCO typescript History of ‘Admiralty House’, Cape St. Mary, British High Commissioner’s Residence, The Gambia. Ogden House, in office use, 1991.